*OVER* FREE Scary Face Pancake! 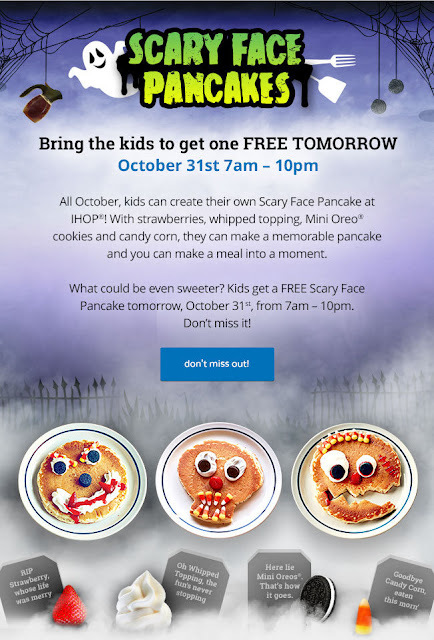 Don't forget to head over to a participating IHOP Monday, October 31st, where kids 12 & under can enjoy a Scary Face Pancake for FREE! *See store for complete details.